I am sorry that I haven’t kept in touch with everyone. Between closing out my house in Las Vegas and working abroad, I didn’t have much time in which to pen my usual monthly eBlasts. Now things have settled down, and I have some much needed breathing space. I can start catching up with my normal routine which involves keeping everyone informed of my availability (for my benefit), and to discuss some of the issues and problems I have seen in the gaming industry over the last several months (hopefully, your benefit). Attached to June’s eBlast is a link to a report I just finished. Over the past spring, it has come to my attention that a number of North American casino operators are searching for information on the use of non-negotiable chips in conjunction with a marketing program known in other parts of the world as “rolling chip” or “dead chip” programs. The rolling chip/dead chip program is used extensively overseas to market and track high limit VIP baccarat customers. A number of casinos have started similar programs domestically here in the USA and Canada. I have also realized that the motivation to enter into a rolling chip program is stemming from requests by junket representatives, and marketers who work outside the casino operations. In some instances, this could turn out to be a costly situation for the casinos. These junket reps have informed the different casino marketing departments that they can provide a number of high limit baccarat players if the casino offers this non-negotiable chip form of player tracking. Unfortunately, many executives in casino operations who have either started the rolling chip programs or are strongly considering starting one, are misinformed as to the mathematics behind rolling chip “theoretical win” (T-win) projections, and are relying on the outside promoters and marketers for this information. As one can imagine, this presents a seriously dangerous situation for the casino operators. Because of this disturbing trend, I have compiled a report, or “white paper” if you may, that discusses several issues everyone considering entering the rolling chip/dead chip program needs to know. The link is as follows: Rolling Chip Program in North America. For some reason, a very inflated T-win percentage has been “floating” around that I’m having difficulty in pinning down the mathematics. The higher percentage might be related to the mathematical win difference between the standard 5% Banker commission game, and the 1 to 2 Banker payoff on the “Punto Banco 6” version that is used extensively in Asia. Regardless of the way it is calculated, the higher T-win percentage projects a higher than expected game revenue potential that subsequently helps to falsely support higher commission paybacks to either the customer or the junket rep (or both). In many cases, domestic casinos are giving back a “lions share” of the win potential to outside interests while maintaining 100% of the gaming “risk”. It is in the best interest of anyone entering into or considering a rolling chip program to read this report. A week ago I received an email from a casino executive who inquired about possible marked playing cards he had recently found on a face-up game of blackjack. This is the second time I’ve heard about this possible scam in the last several months. I think his question and my reply needs to be read by everyone on my eBlast list. The question he sent me will be followed by my reply to him. I have something that came up that has me really stumped. While sorting cards from a six deck game at the end of the shift, one of the dealers found that a number of cards had a dimple or dent in the middle of the backs of the cards. The cards were a number of 10s through Aces but not all. When we went back over the play on that table, we only had one player betting black chips, but he won several thousand dollars. Surveillance ran the player down for counting but found nothing. My question is how would only a certain group of cards get dented like that in a face up game, and do you think we might have been hit by cheaters? I haven’t seen anything like this before. There is a strong possibility you experienced a card marking team. If the tens and aces were dented, the cheater were probably using a “top card” marking system. If a card sitting on top of the shoe is marked (dented) the player sitting in first seat (before the shoe) will wager up to maximum bet, and if the card is not marked, the player will wager around their minimum bet. Not all the cards are marked because it takes a long time to make sure all the “target” cards are marked. Usually with this scam, the cheaters send in a team of players who “dent” the faces of the cards hours before the play actually goes down when the table has minimum action. They dent the cards by hitting the faces of the cards with a chip or the tip of their fingers. By denting the face of the playing card, one also creates a dent on the back of the card as well. Cards marked in this manner must be read while in the window of the shoe when glare from overhead lighting reflects off the dent or bend. After several shoes (and hours of play), the card marking team leaves the game. As I mentioned previously, hours later the cheaters return with their “big player”. They approach management and request a higher limit (sometimes). Then they either get a private game for the big player, or have him sit in the first seat position in order to always receive the first card (top card) of the shoe. A second cheater either stands or sits at the table around 5th/6th position to read the top card of the shoe. When the top card is dented (marked), he signals the big player to place a maximum bet. This gives the cheaters an approximate 20% edge on that wager. If the team marking the cards is able to mark 70% of the tens and aces, a marked card will appear as the top card prior to the next hand about 25% of the time. If you still have the video of the black chip customer’s play, see if there is a correlation between his increase in wager size, and the appearance of a ten or ace as his first card. If so, then you need to go back over the entire day to see if you can spot the cheaters who marked the game. You may be able to get enough video evidence to take it to the authorities. If you have any other questions, please let me know. Good luck with your review. First, the cheaters must find a table where the overhead light shines down and reflects off the top card of the shoe. Second, the cheaters have to mark up the cards using a highly overt action of touching the face of the cards as they lay on the table. This motion is usually done at the moment the dealer starts his/her bet settlement process. The card markers will sit in the last two positions on the table and will usually control two to three hands. The cheaters have to mark the cards without drawing suspicion to their intentions so they may use several different players over a several hour period. Third, hours later they will confirm the marked cards are still on the game, and if so, have their “big player” buy-in and play the first hand positon. I hope the information in this email, reply, and follow up comments gives you better insight into protecting your blackjack games. As of today, I have no public seminars or workshops planned. Since I do have some open time this summer and early fall, I may look to holding a Game Protection or Table Games Management class in different areas of the country outside of Las Vegas. Please watch for future eBlast to find out what seminars, dates, and locations will be available. The dog days of summer are upon me. Right now I’m almost filled for June, but have a couple of weeks in July, and the most part of August open. If you have any questions, let me know wzender@aol.com. Usually, I’m pretty much booked two months in advance. As you see I have a bit of time open throughout the summer. Please let me know if I can provide one of my services for your organization. Copyright © 2017 Bill Zender and Associates, All rights reserved. I hope everyone had a great Holiday Season and are looking forward to a prosperous New Year. It seems that I am always asked about what I see as the biggest Table Game problems, cheating and otherwise, for the year to come. Following are my answers. I’ll start with the “core” table games first, and then comment on other factors not specific to table games. 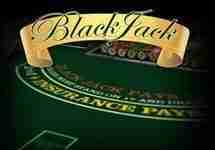 Blackjack – Still the dominate table game on the casino floor, I believe the primary avenue of attack will come from advantage players finding weak dealers in order to spy the dealer’s hole-card. Please don’t rule out shoe dealt games! Finding dealers that give up the hole-card (unintentionally) in shoe games is more common than you think. Also, don’t rule out card marking (both daub and punch) and card switching in hand pitched games. The biggest cost to the gaming industry will come from card counting; however it’s NOT the players at the table creating the cost. It’s the FEAR of counters that hurts our industry. For example; do you cut off more than one deck from the back of the 6 or 8 deck shoe games? If the answer is “yes”, there’s the cost! Cutting off more cards than necessary decreases hand decisions per hour which costs blackjack revenue. Baccarat – Baccarat is internationally popularity, simplicity, and offers “sky-high” wagering limits, and it will remain the primary game to beat in 2017. My biggest concerns lie with cheaters gaining access to playing cards, and either recording pre-shuffled card sequences, or using invisible paints to mark the card (primarily the sides, surprised!) If you question my thoughts on using invisible paints to mark the sides of cards, please go on YouTube and watch videos (there are several) regarding the “Holdem Analyzer”, and consider how that principle would work in regards to baccarat and card sequence knowledge. Also, beware of the high limit customer who requests changes to the games dealing procedure (dealer turning up the cards, as well as determining the method for inserting the shuffle point card). Procedure manipulation through social engineering has been a big problem over the past several years, and probably won’t diminish in 2017. Craps – One of the hardest games to cheat or gain an advantage by the customers. Be on the lookout for dice sliding (not controlled throws). Dice sliding appears to be on the rise in smaller, less game protection educated casinos, or in high limit games with “demanding” VIP players. Make sure the dice hit the back wall and be done with it. Roulette – The color scam, buying in for a minimum denomination chip, and getting another person to cash those chips out at a higher denomination, is still being accomplished. Educate your staff on the technique. The cheating scam of past posting is becoming a dying “art” with the advent of HD cameras, however don’t rule it out. Also, be careful with computer “clocking” and “number bias” regarding the roulette wheel head…but not necessarily on the “cloth” table games; on the physical roulette wheel heads used in conjunction with electronic roulette games (you know….the games the slot department think they own). Alternative Games and Side Bets– Some of the smartest people in the world are advantage players, and they closely examine every new table game and side bet released each year for advantages. Be sure you understand the procedures and mathematics of any new game or side bet before offering it to the public. If in doubt; keep the maximum limits low. Also, be on the constant lookout for dealers unintentionally exposing dealer controlled cards, either a hole-card or a community card (or both). Educate your dealers and floor staff, and then hold you managers responsible for guaranteeing proper dealer hand/community card protection. One other point; watch out for possibilities of card switching between two players, especially in Three Card Poker. Other alternative games are susceptible as well. And the biggest area of concern moving forward into 2017… Marketing Promotions. – More money is lost every year from bad promotions and programs. Be sure that someone in your organization runs the numbers! In addition, don’t copy someone else’s promotion, and then deem it OK just because someone else is doing it (especially from big gaming companies). If you think your organization’s marketing strategy is OK, ask yourself this question; “Do we use Match Play Coupons and/or Promo Chips as a strategy to attract table play?” If the answer is “yes”, then you have a problem! At this point in time in the gaming industry’s history, we operate the safe table games ever. The recent developments in equipment technology, time tested game procedures, quality floor and table camera coverage, and the availability of game protection education, have made are jobs a lot simpler and easier. With that said, every organization still needs to stay up to date with the new advantage plays and cheating scams. One of the best ways to stay up to date is to send at least one person from your organization to the World Game Protection Conference (WGPC) each year in Las Vegas. This year the WGPC will be held from February 21st through the 23rdat the M Resort. Anything threating to the casino bottom-line which has arisen in the past year is discussed at length by some of the top game protection experts in the world. One topic of interest, although not about table games, will be an exclusive look into how computers and devices are being used to attack slot and video machines!! I hope these prognostications help enlighten everyone about the possible pitfalls of this upcoming year. I wish everyone a prosperous and safe 2017. It appears I will have some spare time this early spring so I’m strongly considering holding a March seminar in Las Vegas at the Tuscany Suites Resort. At will either be a two-day seminar on Table Game Management, or a one-day seminar on the Cost of Table Game Promotions. I’m also considering conducting a two-day Table Game Protection seminar and/or a one-day Optimal Baccarat Seminar 2017 somewhere outside of Las Vegas this summer. My last two seminars outside of Las Vegas, in the Seattle Washington, and the Albuquerque New Mexico areas were a big success. Please watch for future eBlast to find out what seminars, dates, and locations will be available. I’m looking to fill up several weeks in February with March and April wide open. If you have any questions, let me know wzender@aol.com. Cheers and best wishes on a new year. Woo-hoo…. we have some games! The Blackjack Review Network has a new left side menu. Click on GAMES to review some of the new fun games we’ve included.